Manchester United striker Robin van Persie will reportedly snub the chance to quit the club in the summer transfer window as he eyes one more shot at winning the Premier League title. The Dutchman’s future looks up in the air at the moment after a difficult season at Old Trafford, with injuries seeming to catch up with the 31-year-old as he struggles to find his best form. United could be planning more big moves in the transfer market before next season, with targets like PSV forward Memphis Depay possibly set to limit van Persie’s chances of starting games regularly, but according to The Sun, he remains keen on seeing out his contract with the club. 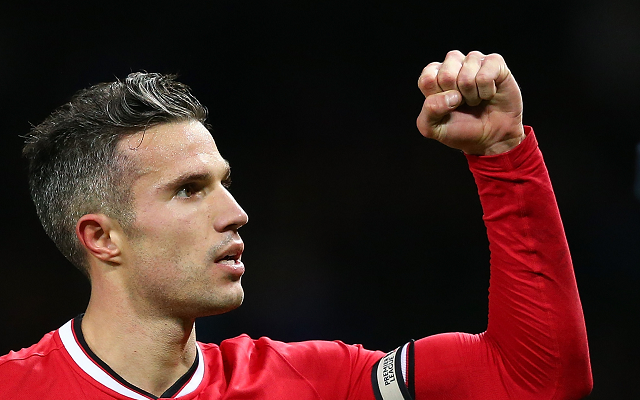 Van Persie’s excellent form helped the Red Devils to their latest triumph in the Premier League in the 2012/13 season, and it seems the player is increasingly confident that the team can repeat this success under the management of Louis van Gaal.